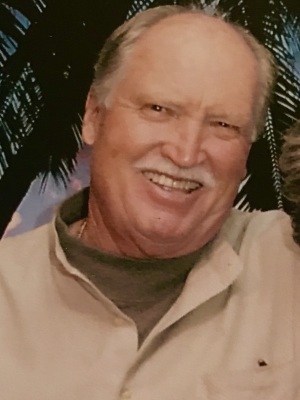 Jack F. Kellhofer, a native San Diegan passed peacefully on 2/4/19, surrounded by family. He was preceded in death by his son, Lawrence, brothers, Michael, Roger and Stephen, and both parents. Survived by his wife Penny, son, Scott, daughter-in-law, Cheri, grandsons, Kyle and Sean, and his sister, Mary Marko. Jack and Penny were married for 57 years. He served in the Army for three years and worked construction for 36 years and retired as a Teamster in 1992. He led an active life biking, walking and spent endless hours working on his property. His active lifestyle allowed him to indulge in the enormous plates of food and satisfy his sweet tooth. He had a love for traveling in the U.S., and Europe, and enjoyed trips along with their “TNT” motorhome group. Services will be held at St. Gabriel’s Catholic Church, 13734 Twin Peaks Road, Poway, on 3/8/19 at 10:00am. Reception to follow at Mainstream Bar & Grill, 13385 Poway Road, Poway, in the Poway Plaza Shopping Center.